The Kwikset 888 SmartCode is a Z-Wave Plus deadbolt lock that can replace any standard door lock. the device includes a touch-button keypad for keyless entry. 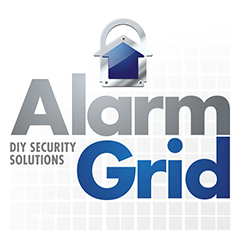 It can also be operated through an interactive service when paired with an alarm system. Buy the Kwikset 888 SmartCode right here. The Kwikset 888 SmartCode Z-Wave Plus Deadbolt Touch-Button Lock will effectively replace any standard door lock so that the door can be controlled with Z-Wave operation. The lock will pair with virtually any Z-Wave classic or Z-Wave Plus controller for smart home automation functionality. As a Z-Wave Plus device, the Kwikset 888 SmartCode can take advantage of the exceptional range and reliability that comes with Z-Wave Plus technology. And it never hurts to add another Z-Wave device to the existing mesh network. With its great versatility, the Kwikset 888 SmartCode is an excellent lock for pairing with an alarm system. Some panels will allow for control using the system itself. But the real exciting feature is the ability to control the lock and check its current status remotely using an interactive service platform like Total Connect 2.0 or Alarm.com. This will also allow the user to receive text and/or email notifications regarding the lock. The user can also integrate the lock into smart scenes for automatic operation based on a schedule or with certain events. For instance, a user might have a smart scene to automatically lock the Kwikset 888 when they set their system to arm away. And another scene could unlock the device at 3:30PM when their kids arrive home from school. The lock features back-lit keys for easy operation in the night. Patented SecureScreen technology is used to prevent any potential intruders from figuring out the code by checking for fingerprints on the keypad. It also includes SmartKey Security as a backup keyway. The device is easy to install in most doors, and it goes in the same spot as an existing door lock. It is powered using four AA batteries. How Do I Factory Default My Kwikset Z-Wave Lock? How Do I Exclude My Kwikset Z-Wave Lock? How Do I Include My Kwikset Z-Wave Lock?